Stay focused people . . . we only have seven six days left until Election Day. Don't get comfortable. It's not over until you cross that finish line. Don't forget. Vote for CHANGE on Nov. 4. I spotted this meme at Lynne d. Johnson's weblog during the summer and I promised myself I would do this music list. I created this meme on a theme of "love." The songs below have some meaning to me ("Nothing Left to Say," "Wanna Know"), while others are just great love ballads. Check out memes from brotherlove, JT and EJ, as well. RULES: List seven songs you are into right now. No matter what the genre, whether they have words, or even if they’re not any good, but they must be songs you’re really enjoying now, shaping your fall/winter season. Post these instructions in your blog along with your seven songs. *optional* Then tag seven other people to see what they’re listening to. 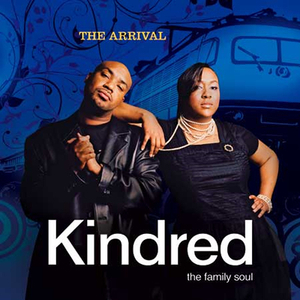 The kick-off song is "Love We Share" by Kindred the Family Soul from off their soulful new LP, The Arrival. It's a fantastic pump-your-fists, anthemic love jam. This is my favorite song, right now! Hot ish! While I was vacationing in the Bahamas, I visited the Atlantis hotel, a five-star casino-hotel on Paradise Island in Nassau. The place was gorgeous! The main attraction at the hotel is their gigantic aquarium in the middle of the hotel's lobby. I was able to capture some footage of the tropical fishes in the aquarium, including a humongous stingray. Can we please have a moment a couple of minutes of silence . 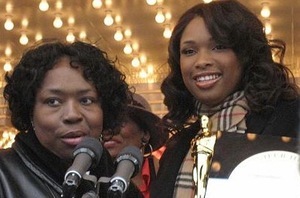 . .
For Darnell Hudson Donerson and Jason S. Hudson, the mother and brother of Oscar-winning actress Jennifer Hudson. In addition, 7-year-old Julian King, the son of Jennifer's sister, Julia. The two family members were shot and killed on Oct. 24 inside of their Chicago home. A cousin discovered the mother's body around 3 p.m. CT and immediately called police. Julian's body was found Monday (Oct. 27) in the back of a white SUV after an exhaustive search in the Chicago area. Apparently, the young boy was shot, as well. Authorities have Jennifer's brother-in-law, William Balfour, in custody and are questioning him about the murders. No one has been charged yet in the triple homicide. I would like to send my prayers and condolescenes to the Hudson family. This shows that no one is immune to violence. We must love the ones we are with everyday, because you never know if today is going to be the last time you will ever see them. Rest in Peace, Ms. Donerson and Mr. Hudson. I'm feeling Musiq Soulchild and Mary J. Blige (M&M) right now . . .
. . . including Musiq's new haircut. Yep, your boy has a mohawk, too. Holla! 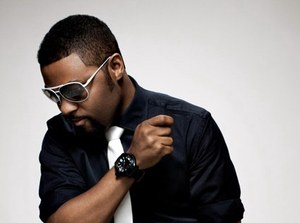 Musiq Soulchild's new disc, On My Radio, hits stores Dec. 9.